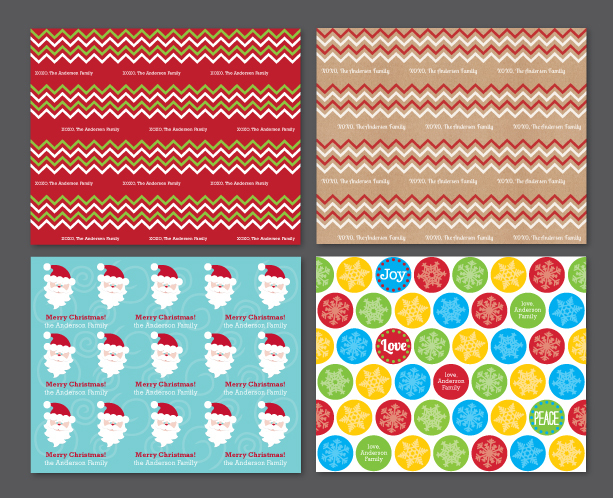 Looking for some cute options for Custom Gift Wrap? We’ve got you covered. 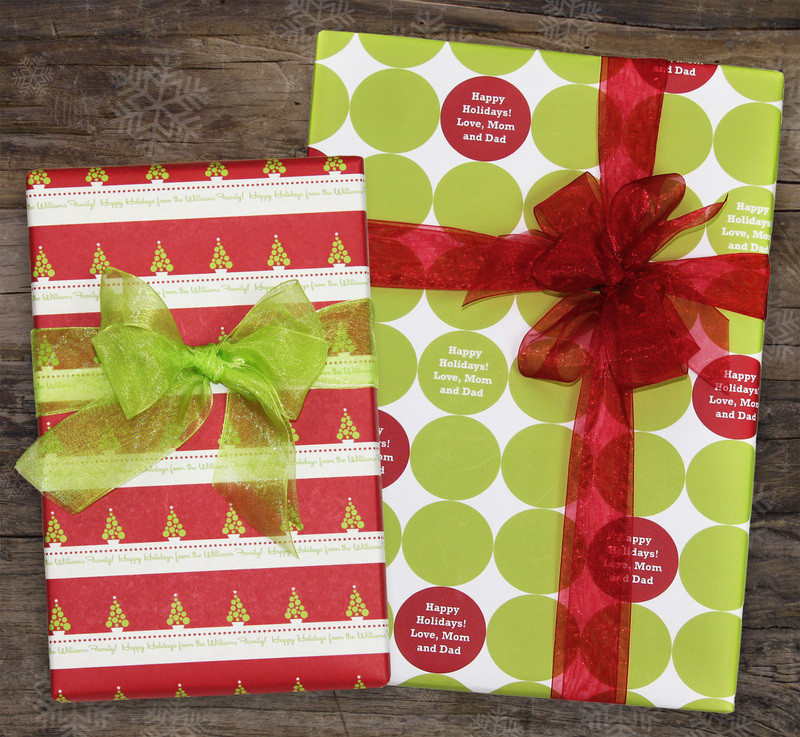 We have 4 new wrapping papers launching this week at Frecklebox.com. You can enter to win a roll by going to Frecklebox’s Facebook page and entering your personal message. I can’t decide which roll I’m going to use this year. I’m kind of going the kraft route so it might be the top right design, what about you?